Most of us can agree that we have sat through some questionable wedding speeches in our time. From a boozy or unprepared best man, to a proud dad who mistakenly thought he was there to deliver a 20-minute script a-la This Is Your Life. 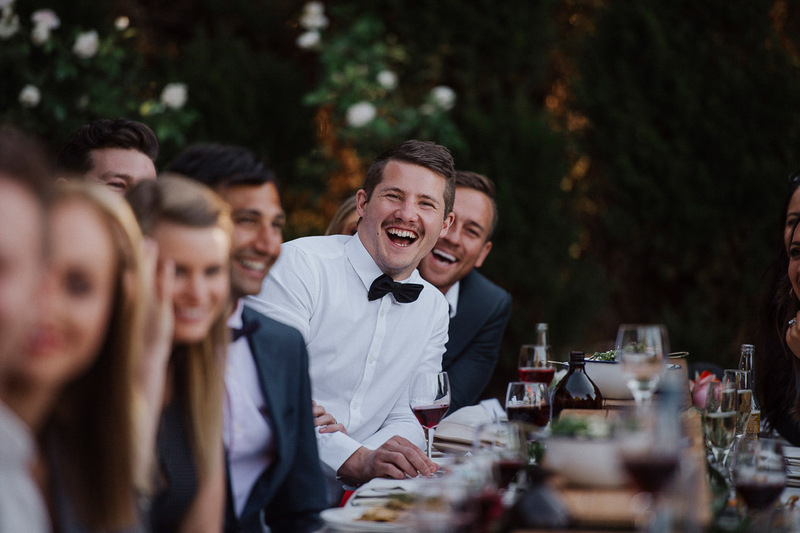 Contrary to popular belief, speeches truly can be one of the most memorable and engaging elements of a wedding reception, and it need not be a snooze fest, or a total duck-for-cover cringe crisis for all involved. 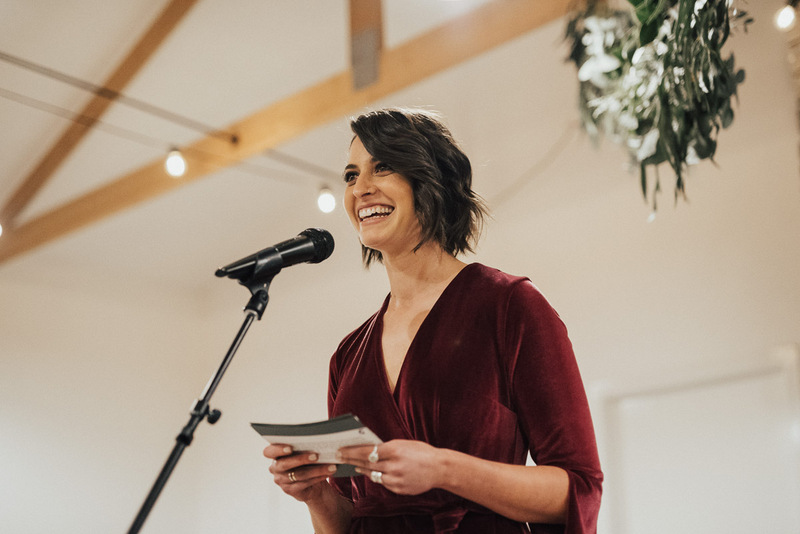 For many, the thought alone of public speaking is a real-life nightmare, but you don’t have to be a magician with a mic to nail a wedding toast – so we have pulled together some simple tips to get you started. 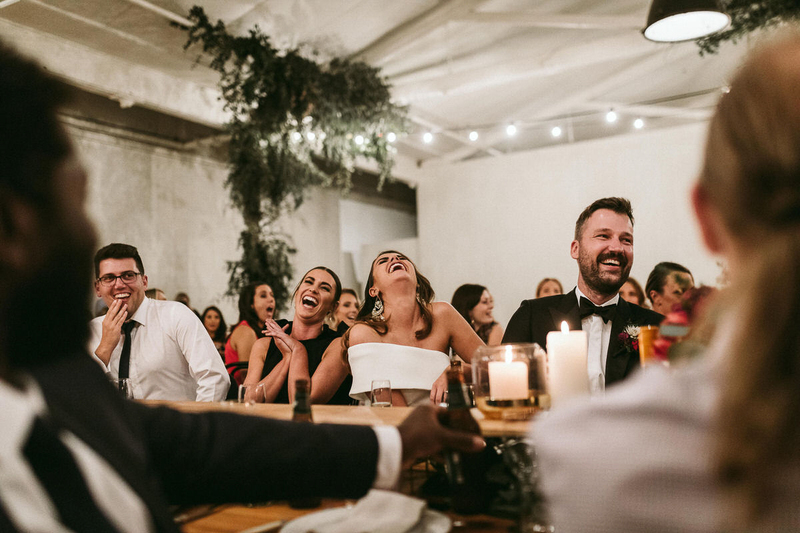 We’ve all been among the collective, courteous laugh when we hear the same typical wedding speech line for the fifth time… But cliches be gone. You don’t need them. The guests don’t want them. Yes, yes, the bridesmaids do look beautiful… but they are often so much more than their fancy frock. Give some thought to what you’re saying, and how you can ensure you don’t fall in the trap of sounding corny. Speak from the heart, it is the very best way and if you need to refer to online resources for inspiration, try to at least put your own creative spin on the content. A copy and paste job just won’t cut it and your audience can smell a fraud a mile away. If you’re not the bride or groom, chances are, there are some guests that won’t know who you are or how you fit in. Warm up your audience and offer them some information about who you are, it will help to get them engaged them from the get-go. This can be a nice time to inject some humour or point out the endearing qualities about the couple that first grabbed your attention. Weddings run on structured timelines. In fact, ask anybody who has managed or organised an event – time is precious, and you don’t want to be the one causing a couple to have to cut another important item from their schedule just because you couldn’t stick to script. If you’re asked to make a speech, ensure you have the framework in which it needs to be delivered. We’re all for a great gag that engages a crowed and has the bride and groom glowing with love and laughter, but we also advise that you know your place. Remember that for the most part, two special people have spent a lot of time and probably money, to pull this dream day of theirs together and to do them justice, it would only be fair to ensure you give your wedding words the time, love and care they deserve. Keep it clean. This is a wedding celebration, not a twenty-first or a hens party. Lewd references have no place in a wedding speech and could cause offense and upset to a bride and groom and their family and friends. If you’re unsure if something could be too risque, best leave it out. 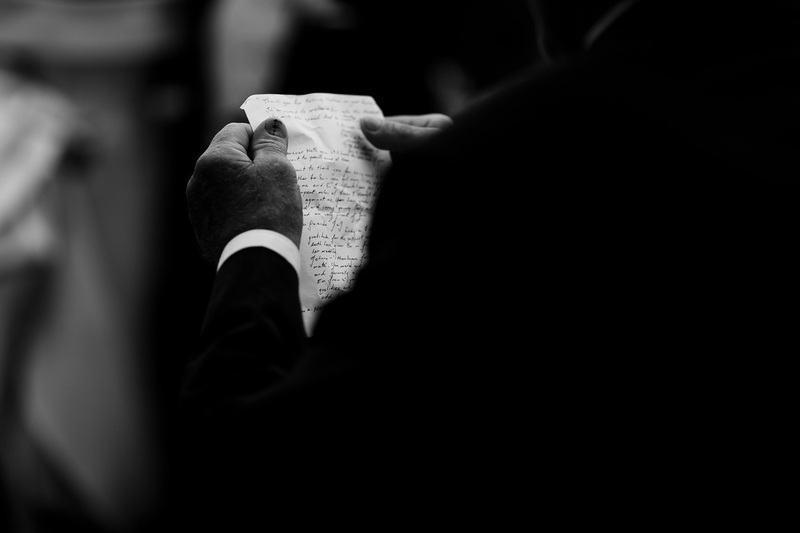 A good speech is brought to life with good structure, flow and meaningful words. A touch of humour, a sprinkle of sweet emotion and ensuring you keep it relevant – those a recipe for success. keep in mind that you may need to be adaptable with this. If someone gets in before you and thanks the guests, you don’t want to double up. this is your time to shine. Think of one to two memories you have of the couple that you can share with your guests. remember to keep it clean and if humour isn’t your forte, don’t force it and go for something sweet. round it out with some words specifically for the couple that have been married. This could be marriage advice or what you hope for them or even why you admire them so much as a couple. It’s important to get the right stuff in your speech and this sometimes takes time. Rarely will any of us nail speech writing the first time! Begin penning your words a couple months out from the wedding and review them every couple of weeks. This will allow you time to make changes, tweak and finesse without the pressure of a looming deadline. You don’t have to go it alone! Practice really does make perfect, so write your wedded words with plenty of time to practice out loud. Having a trusted friend or advisor listen or take a read, will also do wonders. It’s easy to get caught up in what you have worked on and poured time and love into, so take on advice and make changes as you go. Sure, you might be better friends with the bride than you are the groom, but now is not the time to regale your life history together and exclude the person they have just married. Try a well-rounded approach when it comes to your speech and be sure to include both parties in your words. Are you the kind of person that can speak to dot points, or will you require your speech in front of you in full? Consider what makes you feel most comfortable when delivering your speech and make sure you’re prepped for it. It is also likely you will form part of the bridal party, and do you really want to drag around your speech in your pocked or tucked in your bra all day? Have a trusted guest hang onto your speech, or at the very least have a back-up copy that can easily be retrieved should you forget yours on the day. This rule goes for ‘winging it’, too. Some people have the ability to balance wit and emotion perfectly, capturing a crowd with ease, but for others – this approach can really fall flat. Consider your own personal style and play to your strengths when you choose your method of delivery. If your feeling particularly nervous about taking centre stage, try to remember that a wedding is a safe space! The room should be filled with happy people excited to share in the love of a special couple, and their agenda isn’t to bring anybody down. If you take a moment to brace yourself and catch your breath before launching in head first, you’ll nail it.